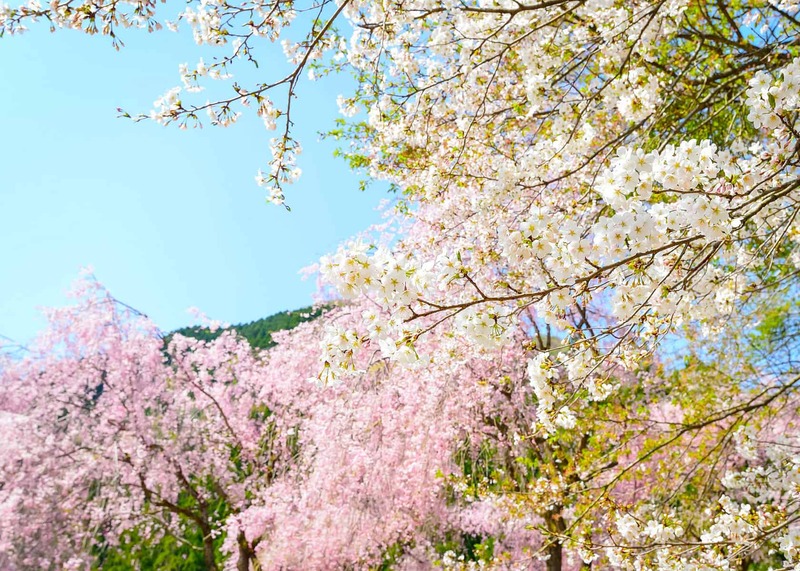 Catherine Marshall is awestruck as Japan’s famed cherry trees burst into blossom. Everywhere you look, there are cherry blossoms: they’re shaped from tiny mounds of glutinous rice and paper-thin daikon and sealed inside a bento box. They’re painted onto silk kimono, their pale petals set apart from the vivid reds and oranges and golds of the undercoat. They’re imprinted onto the 100 yen coin. They are secreted away on that most quotidian of devices, the iPhone, among the floral emoticons on its emoji keyboard; it’s easy to find it among the tulips and rosebuds and sunflowers, for each of its five petals sports a telltale notch at its apex. Outside, the cherry blossoms are proliferating, too: on the streets of Tokyo they’ve shown up like some unexpected celebrity and the paparazzi are streaming from their offices to take shots. Nature’s confetti is blooming marvellous. At Kanazawa’s famed Kenroku-en Garden, they’re draping themselves shamelessly across the boughs of the trees and the trees, in turn, are bowing heavy across parks and lawns and side-streets so that I am greeted at every turn with a vision of frothy pink. 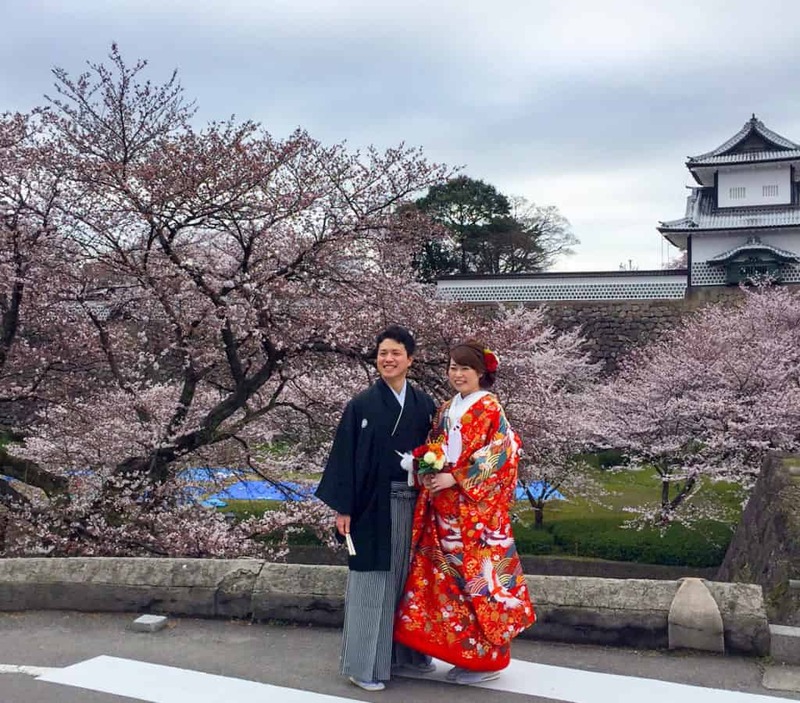 A bride-to-be and her future groom – not put off by the fact that their wedding date is still two months away – dress up in their wedding attire and pose for their official wedding portraits, cherry blossoms arcing in a delicate frame. The perfect backdrop for a wedding. 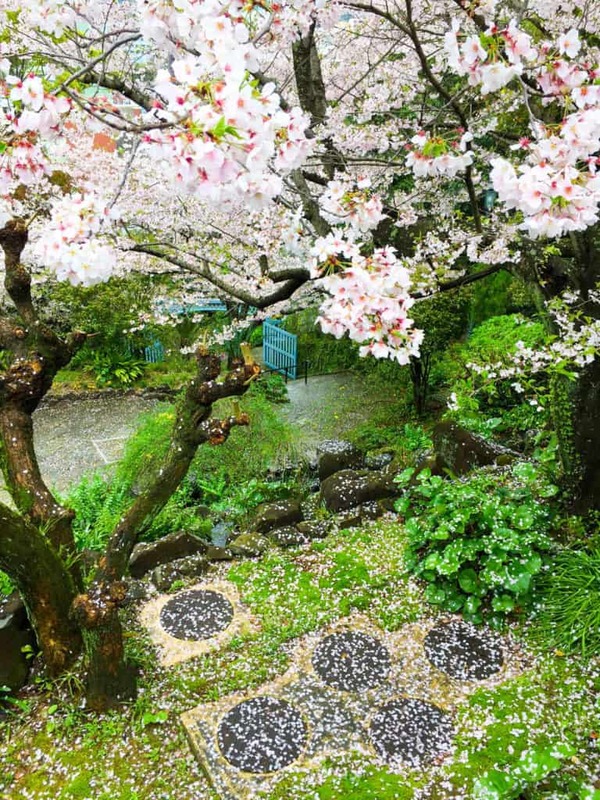 At Tenshaen Garden in Uwajima the blossoms scatter from the trees in their thousands, nature’s confetti spilling to the ground. Such is the pathos of the cherry blossom: just last week they were something of the future; tomorrow they will no longer exist. Catherine Marshall travelled to Japan as a guest of Botanica Travel. Photos: © Catherine Marshall. 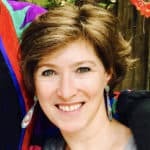 Catherine Marshall is an itchy-footed journalist who lives in Sydney but spends much of her time roaming the world. Her next favourite place after Africa (where she was born and grew up) is the one she’s not been to yet. She’ll write as soon as she gets there.